If you'd like to learn about the benefits of treadmills and how to choose the best treadmill for your budget and fitness goals, you've come to the right place. If you’d rather speak to a personal trainer, please feel free to contact JTX Fitness. Treadmills benefit your cardiovascular system and are a fantastic way to increase your fitness. Running raises your heart rate, which helps strengthen your heart whilst improving your circulation. If you are hoping to lose weight, running is a great way to burn calories: in 30 minutes you could burn 300 calories running a 10-minute mile. Treadmills can benefit your joints. The best treadmill decks have shock absorption systems to soak up some of the impacts of the running action. In this way they offer a lower impact alternative to pounding the pavements without having to reduce your training. A good treadmill deck can reduce the impact on your joints by up to 30%. The British weather is sadly never dependable. A light drizzle is quite nice and will help keep you cool while you run, but a full soaking isn’t much fun and it can really reduce the effectiveness of your workout. With a treadmill, you can run whatever the weather. In the winter, some of us don’t feel comfortable running outdoors in the evenings. A home treadmill solves that dilemma. There are far fewer hazards too; no cars or uneven surfaces, for a start. One of the great benefits of having a treadmill is the ability to zone out and motivate yourself by listening to music (without having to wear headphones) – most good treadmills have built-in speakers which you can plug your iPhone or mp3 player into. Alternatively, you can position a TV screen or tablet in front of you to catch up on your favourite programs while you run. Most good quality treadmills allow you to customise the programs, meaning you can take your favourite outdoor running course and input the distances and inclines. Great if you’re training for a particular event. It’s always there. No extra motivation needed, no special clothes to think about finding. Just hop on and start running. Buying a good quality treadmill will benefit your long term health, but we know it is can be a financial stretch in the short term. We offer 0% interest free credit on all fitness equipment so you’ll be able to spread the cost over 6 or 12 months. A treadmill can be used for rehabilitation, a brisk uphill walk, a regular jog, high octane interval training or marathon training. No matter what your fitness goals are a treadmill can help you reach them. Regular runners will want a big deck with plenty of space to run and the ability to design bespoke programs. It is worth keeping these things in mind when buying to ensure you invest in a treadmill that suits your long term fitness goals. Running outdoors is great but it’s much harder to control your pace and keep it consistent. With a treadmill, you will know exactly how far you have run and at what speed. This also helps you set goals to improve your performance over time. This section should help you with features and issues to consider before purchasing a treadmill. If you’re still unsure about anything, please get in touch with our expert team who will be able to give you advice which should help you make the right decision. The maximum user weight is a useful guide to indicate the quality of the treadmill frame, belt and motor. A maximum user weight over 160kg indicates a robust treadmill for regular home running. Treadmills used in commercial gyms often have a maximum user weight over 180kg. A quick word of warning; some unscrupulous retailers may increase their maximum user weight so that the machines appear more robust than they are. We recommend you also consider the total weight of the treadmill, reviews and the size of the motor. The term ‘horsepower’ is a unit of measurement for motor size. A large horsepower (3hp or more) generally indicates a higher quality motor which will last longer than a small motor size. Retailers often list two ways of measuring the horsepower, continuous and peak. For example, 1.75 horsepower, 3 horsepower peak. We suggest you focus your attention on the continuous duty rating, which is the lower of the two numbers. Some lower quality treadmills refer to their power in watts. There are 750 watts to 1 horsepower unit. If you are hoping to run over 3 times per week, or you weigh over 10 stones, we suggest that you look for a treadmill with a 1.5 horsepower motor or more. The foundation of the treadmill and must be robust. Frames are usually steel or aluminium. Steel frames are tough and tend to feel more ‘springy’ when your foot hits the deck. They also tend to be quieter sounding. Aluminium frames are still strong but they tend to have a less spring-like feel. Springs - Avoid running decks that provide a spring shock absorption system. Springs compress and then bounce back which returns the force of the stride back into the body. Variable-Durometer Elastomer Cushions - These are cushions that absorb some of the energy from the impact and are found on most commercial and heavy duty treadmills. Basic - Even some of the most basic treadmills offer hand pulse sensors on the safety arms. These can be pretty unreliable but are helpful in providing a basic pulse reading and monitoring improvements in your recovery time. In order for the pulse to be read on the hand sensors your hands will need to be damp and remain on the sensor for about thirty seconds. It’s therefore really important to stop running in order to get an accurate reading. Intermediate - Come with either a chest strap or pulse watch, which will report a more accurate heart rate – allowing you to manually increase or decrease how hard you are working to reach your optimum heart rate. High Specification - You should expect high-spec treadmills to include pulse watches or chest straps and polar compatible heart-rate programs. This ensures that the treadmill will pick up your heart rate as you work out and adjust the difficulty of the program to get you working at the optimum level for your fitness goal. Safety Key:The safety key has a magnet at one end which is attached to the console, at the other end is a clip to pin on to your T-shirt or shorts. If you trip the safety key will fall off the console and automatically bring the machine to a stop. Hand Rails:Side hand rails are essential to ensure that a little stumble on the treadmill doesn’t turn into a great big belly flop. Make sure the handrails don’t get in the way of your arms when you’re running because they might disrupt your balance. Automatic Slow Start:No matter how fast or slow you run, or how experienced you are, a treadmill should never start at the selected speed. All good quality machines will start off slowly and then gradually increase speed until it reaches your desired pace. We don't recommend keeping electronic fitness equipment in cold rooms or garages. In the winter months particularly, the temperature can fluctuate widely. This can cause condensation inside the computer and circuit boards. If you do want to keep your machine in a room like this we certainly recommend keeping it under a heavy sheet or rug to help minimise the risk of damage. It is also worth avoiding rooms which get extremely warm. This is not so much about maintenance, more because it will make it more difficult and uncomfortable when you come to workout. If you can, we recommend you put your treadmill in a room with a TV or stereo. Getting motivating tunes or your favourite TV series on will help you get in the zone and smash through your training. Treadmills can be surprisingly large. So check the assembled dimensions and measure up before buying if you are unsure. For safety reason make sure there will be no obstructions directly behind the treadmill. Reviews are a great way to understand if a company is as good as they say they are. 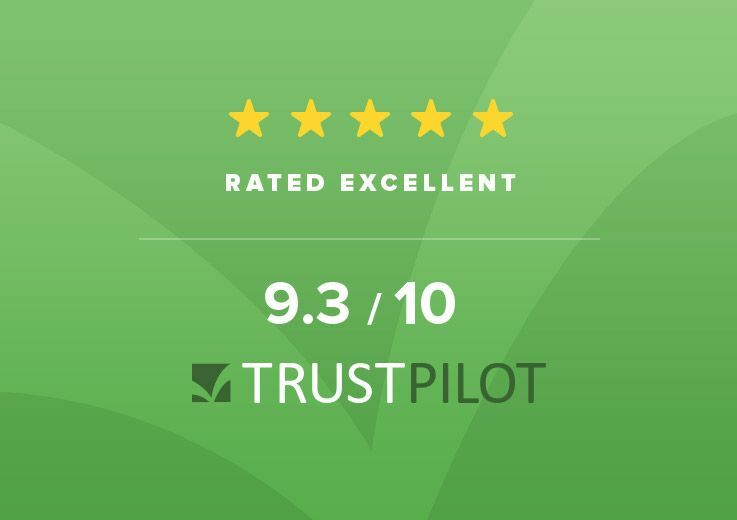 We collate our reviews in association with TrustPilot, which means you can be absolutely sure they are independent, authentic reviews from genuine customers. Read JTX Fitness reviews. Money-back guarantees: If you are buying fitness equipment over the internet make sure you have the right to change your mind once you have assembled the machine and tried it out. Most reputable companies have a 28 day money back guarantee as long as you return it in the original packaging and pay for delivery costs (approx £75- £100). Some companies restrict returns periods to 7 days and, worse still, state that the machine must be unopened and unused. We feel if you can’t open and test your machine the returns policy is worthless. All we ask if you aren’t sure that you want to keep your machine is that you keep your packaging and re-box it so we can pick it up. See our ‘no quibbles’ returns policy. Cost for servicing or replacements during your warranty period: Make sure the warranty covers in-home repairs to include parts and labour. Otherwise you might be left with a treadmill that can cost as much as the original machine to service. Retailer or manufacturer warranty: Often warranties are from the original manufacturer rather than the company you bought the machine from. Make sure it is clear who your warranty is with. It is also worth understanding whether your warranty is automatic or needs activating, and, if so how you activate it. If the warranty is with the manufacturer rather than the retailer check they are in the UK and contactable. One of the great things about buying from JTX Fitness is that we are the manufacturer and retailer so you know exactly who to call. You also have the confidence that you are covered as our warranties activate automatically on purchase. Read more on our warranty details. Second-hand warranties: If you are buying a fitness machine second-hand we recommend that you contact the original retailer to ensure the warranty is transferable - most are not! After the warranty period: If the machine has a short warranty period it’s worth enquiring how much it will cost to fix the machine and the cost of parts. If you have been toying with the idea of hiring a treadmill instead of buying one, check out our Treadmill Hire Or Buy Guide to find out why we think you should always buy. How Much Do Treadmills Cost? Entry level treadmill, for basic fitness and walking. Buying a motorised treadmill is always preferable to a manual treadmill. They generally have a maximum user weight of around 120kg (19 stone). This is set by the manufacturer and although the machines we tested were capable of holding this weight the motor is unlikely to sustain regular running. An entry level machine is OK for anyone looking to limit their exercise to brisk walking; e.g older runners, those who are new to regular exercise or recovering from an injury. For a more comfortable running experience we recommend anyone who weighs over 11 stone save a little longer to jump to the next price-band to buy a treadmill with a more robust frame and a more powerful motor. The main retailers in this price-band tend to offer very limited warranties and returns policies, which are often hidden within their terms and conditions. Most reputable retailers offer a 28 day money-back guarantee from the date the treadmill is received, but some have been known to restrict refunds to within 7 days from the date of purchase and only if the box is unopened. This really doesn’t give you chance to work out if it’s the right machine for you. Always check the T&Cs before you purchase, it could be a costly mistake. For the record, we offer a 28 day no quibbles returns policy. If you spend £400- £600 you should expect to get a treadmill which will help you achieve a good level of fitness with regular use. An important feature that treadmills within this price category should have is power incline (not manual incline). A power incline (or motorised incline) allows you to adjust the incline level whilst you are running. You will also be able to select programs that adjust the incline as you run to mimic outdoor or hill running. In home home repair warranty to include parts and servicing. Intermediate runners (25km per week) should invest in a robust treadmill that will last for years. If you spend over £600 you should expect a solid treadmill with a great running experience. It will provide you with more space to run, a shock absorbing running deck, better programs and more incline and speed options to play with. In home repair warranty to include parts and servicing. If you can stretch your budget £1500 you will get a sleek, interactive home treadmill that will support, motivate and entice you back for more. Designed for long distance, high-performance runners. 3 year in home repair warranty to include parts and servicing. If you're interested in the interactive element of more expensive treadmills, take a look at our blog post on treadmill running apps. It will give you an idea of the kind of apps you could use with these treadmills, which are guaranteed to add another level of fun and motivation to your run. Often featuring touch screen consoles with integrated TVs, you can enjoy interactive training or watch your favourite TV programmes on the run. Check out Cybex and Life Fitness commercial range of treadmills for examples. These machines are built to withstand up to 16 hours of use per day in a commercial gym environment. They are normally very large and do not fold away. If you'd like to make your treadmill runs more interactive, but don't want to spend over £3000, take a look at our blog post on treadmill running apps. Read through our review of apps that can be used on any treadmill, that are sure to keep you entertained. A manual treadmill utilises a belt and rollers, which a person moves with their own effort. As the belt doesn’t move by itself, you will be setting your own tempo: not great if you are lacking motivation. Manual treadmills sit at the lower end of the market with cheaper components, so they are unlikely to last. Motorised treadmills allow you to set the pace of your workout. Many motorised treadmills also have a feature that lets you increase and decrease the degree of incline that you’d like to run on. If you are buying a treadmill for your home gym, space is always an important consideration. Fold away treadmills can be folded flat and easily stored and hidden away when not in use. Alternatively, the JTX Sprint range of folding Treadmills have hydraulic slow-drop decks and a locking system for added safety. The best treadmills provide a solid but cushioned running area, high powered motors, motorised incline and an interactive computer, often with a heart rate training feature. With a truly commercial treadmill, you can expect a 3-4 year commercial warranty because they are built to withstand constant use in a gym environment. The JTX Sprint 9 offers all the best features of a commercial treadmill. But it is designed and folding with a price tag to better suit the home environment. The moving belt which you run on. The controls on the front panel of the treadmill. The digital read out on the front panel of the treadmill. There are two types of heart rate monitor; hand sensor monitors and wearable monitors. Hand sensors come with most fitness machines and take your pulse through the hand grips, they are good as a guide but rarely very accurate. Wearable monitors such as chest straps and watches are generally much more accurate than hand sensors. Target heart rate training can be used to assist goals ranging from fat burning and weight loss to maximum aerobic capacity development. A target heart rate zone is selected before working out based on the users individual goal. A strap or watch will then monitor your heart rate, giving you real time feedback so you can maintain the right level of effort to stay in your selected target zone. Many fitness machines link to chest straps or watches and auto adjust resistance levels to help keep you in your target zone so it is worth checking product detail pages if you are interested in this type of training. The tilt of the running deck that simulates uphill running. A treadmill you operate by pushing the conveyor belt with your feet (not recommended). A treadmill containing electric motors that move and tilt the deck for you as you walk or run. Range and variety of pre-programmed workouts available on a motorised treadmill. Will I have to assemble my treadmill? JTX treadmills require little or no assembly but we do recommend finding an extra pair of hands to help because they are heavy. Our user guides will give you all of the information you need but if you would prefer to pay for installation, this is now available. Read more about our Assembly Service. Good quality treadmills should have a very quiet motor. You will need to consider where you locate the treadmill though. For instance, if you live on the 3rd floor in a block of flats you might want to consider the construction of the building. If it is a purpose built concrete construction, you should be fine. Victorian conversions might need more thought; whilst the machine itself might be quiet, if you’re heavy-footed, or running flat out at 3am, your neighbours might not thank you for it. Floor protection mats, or a bit of old carpet will both soften any noise vibrations and protect wooden floors. Can I play music on my treadmill? Most good quality treadmills have this functionality. All JTX treadmills are fitted with built-in speakers and an mp3 connection. How much space do I need for the treadmill? It’s best to leave at least 10cm each side of the treadmill. The assembled measurements for our machines can be found on the product pages on the website. Also, its always good to make sure the rear of the treadmill is free of obstructions. Many treadmill issues can be solved with a little bit of knowledge. Check our maintenance pages for advice on specific JTX treadmill repairs. Electrical repairs are more complicated and we don’t recommend you attempt them yourself. Most treadmills will come with an in home repair warranty and its always best to contact your warranty provider for assistance. How easy is a treadmill to move? This will vary from brand to brand. All JTX treadmills have wheels, which means you can move it around in a wheel-barrow type motion if you need to. Although we would suggest trying to keep it set up permanently in a designated place to help motivation! Do treadmills have heart rate monitors? Again, you should expect this functionality as standard on a high-quality treadmill. Our Sprint 5 and 7 models have pulse sensors on the arms to monitor your heart rate and chest straps as optional extras. The commercial style JTX Sprint 9 comes complete with a chest strap, for enhanced accuracy. How do I use a treadmill? This depends entirely on what your personal objectives are. We’re happy to answer questions directly so we can be sure to offer the best advice for your needs. Check out our treadmill workouts and exercises for some great videos to get you started. Where should I keep my treadmill? We recommend that you don’t keep electronic fitness equipment in cold rooms or garages. In the winter months particularly, the temperature can fluctuate widely. This can cause condensation inside the computer and circuit boards. If you do want to keep your machine in a room like this we certainly recommend keeping it under a heavy sheet or rug to help minimise the risk of damage. What maintenance will I need to carry out? Treadmills benefit from having the belt both lubricated and tightened regularly. These jobs will take about 10 minutes every 6-8 weeks. Regular lubrication will greatly extend the life of your machine and reduce the possibility of faults occurring. Tightening or tensioning the belt will ensure it continues to offer a smooth motion that feels as natural as running outdoors. We have made some treadmill maintenance videos for you to help you keep your machine in top condition. It is also very important to keep the area under the treadmill clear and clean. Make sure you hoover or wipe under the treadmill regularly. Any dirt or dust under the deck will be picked up by friction and will eventually cause electrical faults. What is the lubricant for? The silicone oil is used to stop friction against the belt and the board. It’s the medicine your treadmill needs every 6-8 weeks. Not enough lubricant is responsible for 80% of breakdown issues. We have made a treadmill lubrication video, which should help. What is the best treadmill for a beginner? If you haven’t done a lot of running in the past but want to improve your fitness, we recommend the JTX Slim-Line. It is a great value treadmill, which will easily take you from a walking or jogging start to training for a 10k race, should you wish. Even as a beginner you really want a treadmill with electronic incline and a good top speed. This will help ensure the treadmill continues to push you as your fitness improves. What treadmill would be suitable for my marathon training? Treadmills are great for long distance training. They allow you to set training targets and protect your knees from the rigours of road running. If you will be using your treadmill 3 or 4 times per week we recommend the JTX Sprint 9 treadmill. This commercial quality treadmill will put you through your paces and keep you motivated for years, with plenty of space on the running deck for the longest of legs and strides.